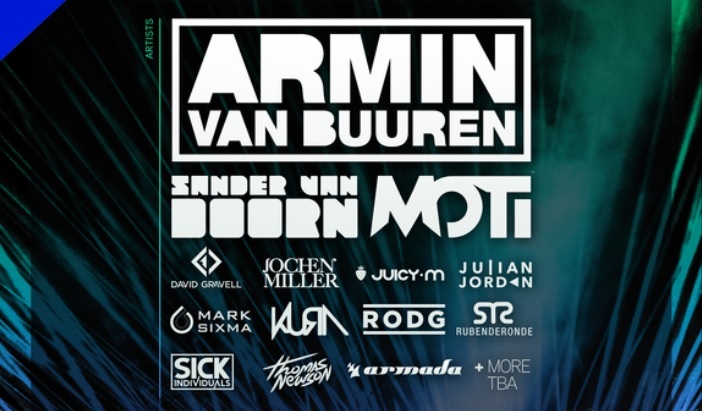 Croatia Winter Music Festival has just been announced, with Armin van Buuren, Sander van Doorn, MoTi, Thomas Newson, Julian Jordan, Sick Individuals, Armada records and more set to perform. Croatia WMF, the nation’s brand new concept combining music, food and gaming, will take place at Arena Zagreb, Croatia from December 31, 2016 to January 6, 2017. Grammy-nominated Dutch legend Armin van Buuren will headline the NYE party, the first of six events over the week that will host performances from some of the most in demand DJs on the planet. During the daytime on January 2 and 3, the sports hall will host Zagreb Gaming Arena, a revered international gaming tournament where contestants will pit against each other playing the most popular and competitive games in the world. The week kicks off with Zagreb 360° NYE, at Arena Zagreb on Saturday, December 31. 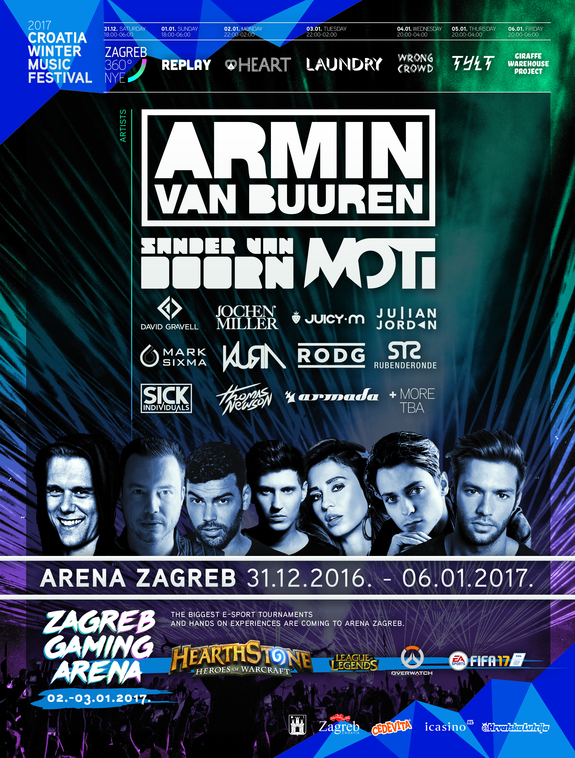 Croatians and international visitors alike will ring in the New Year to the beat of Armin Van Buuren, the inimitable 5-time World No.1 DJ, and fellow Dutchmen Sander van Doorn, MOTi, Julian Jordan, and David Gravell. Ukrainian electro house DJ Juicy M will also share the stage with Armin and his crew to celebrate the New Year in style. The week continues on Sunday, January 1, 2017, with REPLAY 360° NYE, which will be hosted by Ibiza’s fabled Pacha night Flower Power. As one of the most popular parties on the island, adorned with decorations and the ethic of the cultural slogan of the 60s, the event will host some of the most recognised international and local EDM DJs. Wrong Crowd with R3hab and FelixJaehn will continue the festivities on Wednesday, January 4. R3hab, a pioneer of the Dutch, modern house sub genre and Felix Jaehn, the German tropical house sensation who went number one in 20 countries with his remix of OMI’s Cheerleader, will undoubtedly bring down the house. 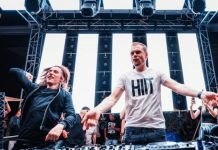 On Thursday, January 5, as the festival nears its close, TYLT will host performances by various DJs from Armin van Buuren’s seminal Armada label. The final day of Croatian Winter Music Festival, Friday, January 6 will play host to Giraffe Warehouse Project with Florian Picasso, ending the momentous week with a bang.